FOM covers the entire spectrum of fundamental research, from curiosity-driven research to research inspired by applications. In the latter there is also an important link with industry, innovation, the current top sectors policy, the National Science Agenda (NWA) and societal challenges such as the energy problem. In realising its mission FOM attaches considerable importance to the interaction with neighbouring disciplines as well as between researchers, in order to proactively signal new directions for research and to give these a boost in a coordinated manner. 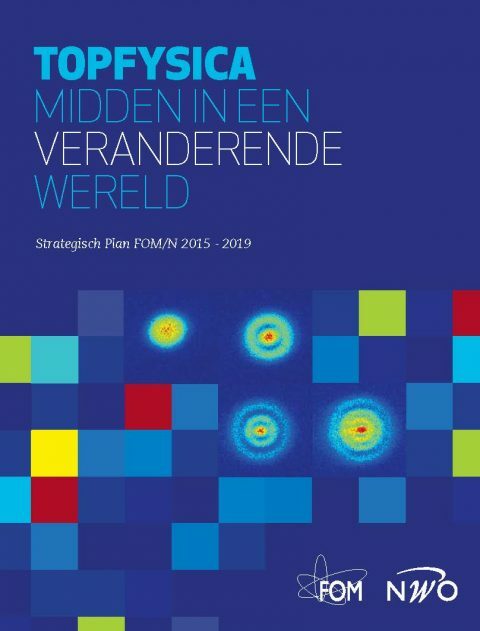 FOM strives to be an efficient and effective Dutch science organisation, which is known as an accessible and reliable point of contact with a network of top researchers. The high quality of the research and the researchers take centre stage. FOM selectively awards funding on a competitive basis to the research proposals submitted, using quality and innovation as selection criteria. As an employer FOM invests in the training and supervision of young talent and has an active diversity policy. In a broader context FOM is also committed to enabling Dutch science to function in optimal and sustainable manner. The FOM Foundation was established in 1946. A brief history of FOM has been published on the FOM website. FOM is part of the Netherlands Organisation for Scientific Research (NWO). The current structure of the NWO organisation will be reorganized. FOM will be integrated in this new organisation. At the Foundation for Fundamental Research on Matter (FOM) top physics research takes place at four Institutes and at universities. About 1,100 employees collaborate closely with other relevant disciplines working at:. - and in more than 200 workgroups at Dutch universities and knowledge institutions. In 2015, the FOM Foundation spent 108 million euros on exploitation and investments in FOM activities. The funds for this are primarily obtained from NWO Physics and the Governing Board of NWO and further from the European Union, the Dutch government, and collaboration with universities and industry. At the end of 2015, the FOM staff consisted of 64 tenured scientific employees, 168 postdocs, 481 PhD researchers and 349 technicians and other employees. In 2015 the staff produced 105 theses, 1,187 refereed scientific publications, 1,544 other publications and 4 patents.